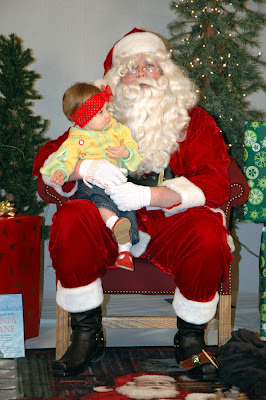 A few days ago my parents took me to see some guy called Santa Claus. 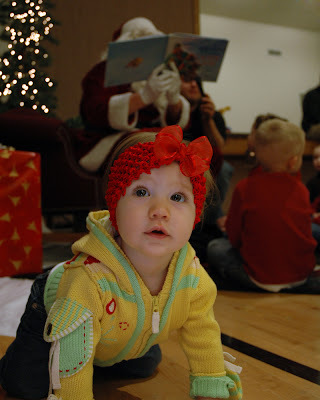 When we got to the place where Santa was at, they sat me down on the floor along with a bunch of other kids. I was a little apprehensive at first, so I looked back at my parents to make sure that it was safe for me to go join the other kids. 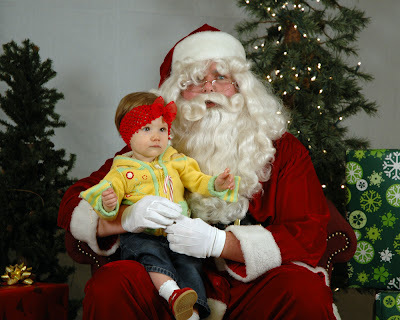 My parents assured me that everything was okay and encouraged me to look at the Santa Claus guy, but I was more interested by all the other little kids around me. 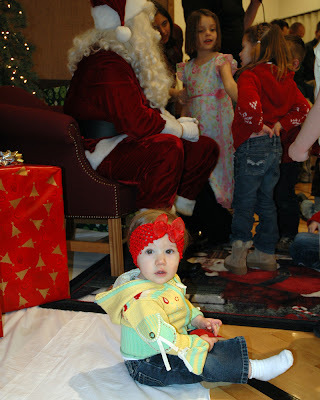 In fact, the Santa guy was kind of boring. He just kept reading and reading this book. I thought that maybe he just wanted to be acknowledged for his reading ability, so I clapped my hands for him. However, he just kept reading his book. 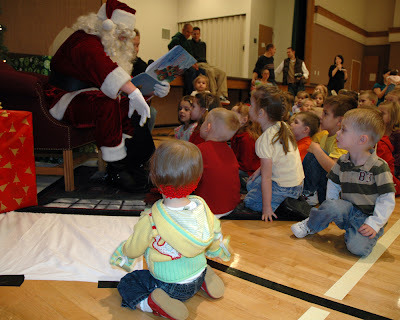 Santa finally finished reading his book and then all the kids started to line up next to him. I had no idea what I was supposed to do, so I looked back at my parents for some direction. They picked me up and then stood in line with all the kids. 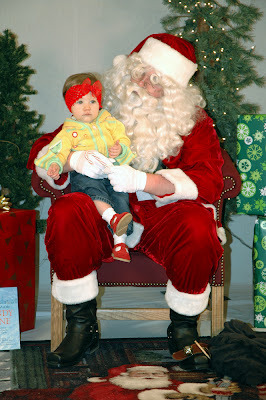 After waiting for what felt like forever, it was finally my turn to sit on Santa's lap. At first I was a little nervous and looked over to my parents for reassurance. But then I noticed this really interesting candy cane that Santa Claus was holding. Then Santa asked me what I wanted for Christmas. I was thinking: "Isn't it obvious? 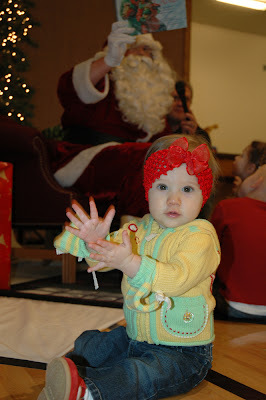 I want you to give me that candy cane!" But instead of giving me the candy cane, he just said "ho, ho, ho" (whatever that means) and told me to smile for the cameraman. I looked at my parents to see if they could help. I was thinking: "Can you believe this guy? 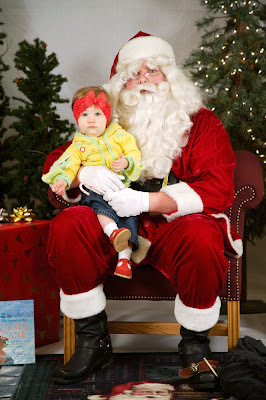 Why won't he give me that candy cane already?" It was hopeless. Then my parents picked me back up and Santa Claus kept his candy cane all to himself. 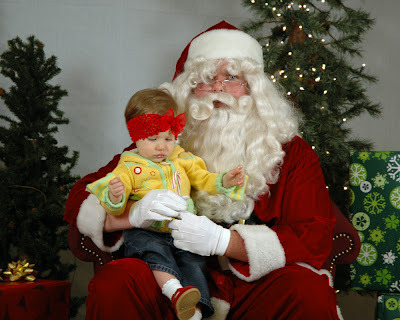 I don't think I like Santa very much. It's not very nice teasing little kids with candy canes like that. Just wait for Christmas and I am sure that you will change your mind about not liking Santa! Ava...you just need to give it some time...you'll like him soon enough!! Maybe he thought you were too little to have that HOT, choking hazard!!! Have a good Christmas...and I hope Santa can do something to make you like him! !